Those who can, teach. 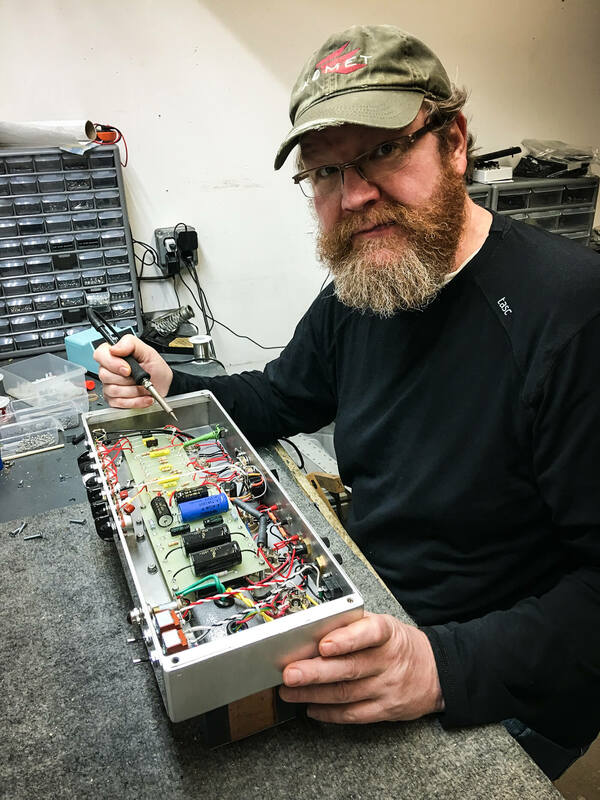 Ken Fischer could, and he did – and while his skill and his creations were taken from us too soon, after the completion of just about 100 Trainwreck amplifiers, he passed a huge portion of knowledge along to the men behind Komet Amplification, which has continued to fly the flag ever since. 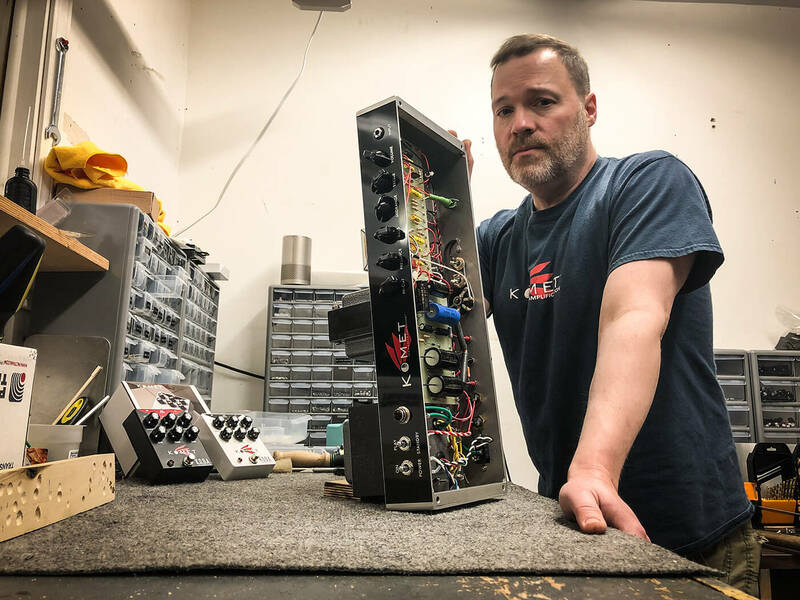 Baton Rouge, Louisiana native Mike Kennedy and German expat Holger Notzel met while attending Louisiana State University in the early 1990s and quickly discovered they shared an obsession with vintage guitars and valve electronics. Following Notzel’s emigration to the U.S. with his wife later that decade, they opened Riverfront Music a stone’s throw from the Mississippi River in Baton Rouge, and founded Komet Amplification in ’98. 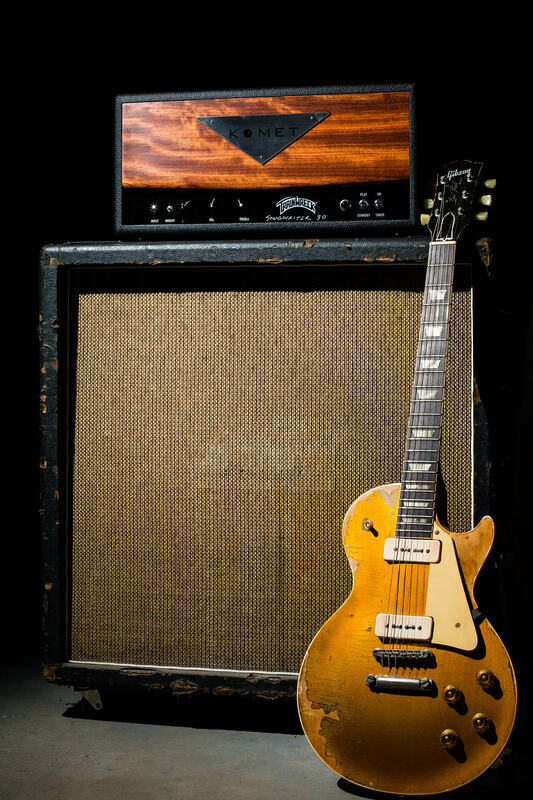 Inspired by the work of Trainwreck Circuits amp guru Ken Fischer and bolstered by his contribution to early designs, Komet was off to a flying start in the competitive boutique market, and was regarded from the beginning as a leader in tone-driven professional guitar amplification. Its debut model, the Komet 60, earned modern-classic status almost overnight. Notzel and Kennedy pushed the premise further, expanding the line-up with new and original designs that still pulsed with the DNA of their late mentor, while stretching out into avenues of which Fischer might never have conceived. Like a lot of budding amp makers, both Kennedy and Notzel began their education early on and in the usual DIY fashion, largely by sticking their hands where they didn’t belong. Born in 1966, Kennedy grew up in a music-loving household, where by the age of four he was requesting songs from his aunt and older sister’s collections of albums by The Doors, The Beatles and The Monkees. In 1974, he and his older brother, Patrick, became Beatles fanatics, he tells us, and the elder Kennedy indulged the bug by getting into guitar playing. A thorough re-capping with orange drops also took care of the busted Bass control, and taught Kennedy some early lessons on the significance of different components, but it was his acquisition of a Marshall JCM800 2×12 combo that took him to ‘the other side’. It still wasn’t quite that tone, but it fuelled a predilection for British amplification that would plot a roadmap toward Komet. For Notzel’s part, he’s simply been into vintage guitars and amps as long as he can remember, and that fanaticism extended to repairing guitars as a side gig to help make his way through college. Once Notzel had transplanted his passions to the States and made Kennedy’s acquaintance, he also started pursuing legendary builder Fischer, and even got himself on the list for a Trainwreck amp. Sadly, given Fischer’s chronic health issues, it eventually became clear that order would never be fulfilled. However, Notzel had had enough conversations with Fischer by this point, and had developed enough of a rapport, that he figured he could go straight to the coalface. Taking inspiration from Fischer’s Trainwreck Express in some regards, Notzel put that amp together, and the results were enthusiastically received by the stream of guitarists who wandered into Riverside Music, which was then still just a guitar-and-amp repair shop. Meanwhile, Kennedy had also soaked up as much of Fischer’s thinking as possible via his articles in the Angela Papers (published by Angela Electronics), and by now shared Notzel’s fanaticism for British amps, and all things JMI-Vox in particular. From there, however, Komet amps followed very much their own building style – albeit taking some advice from Fischer. It was an approach that involved sourcing the highest-quality everything for the builds, provided that everything also sounded good. 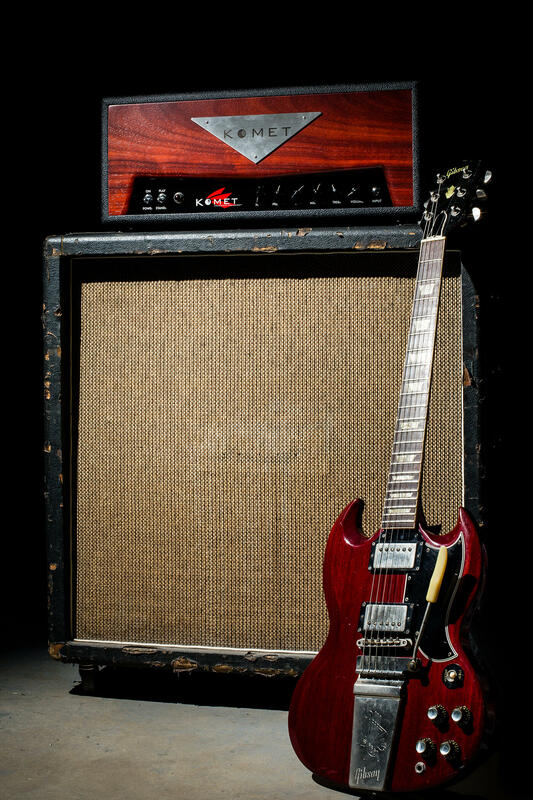 Aside from the heavenly tone and tactile dynamic range achieved by plugging into a Komet amplifier, the thing that often makes the next biggest impression – with those who get a chance to look inside the chassis – is the quality of the parts used, and the painstaking construction that joins them all together. 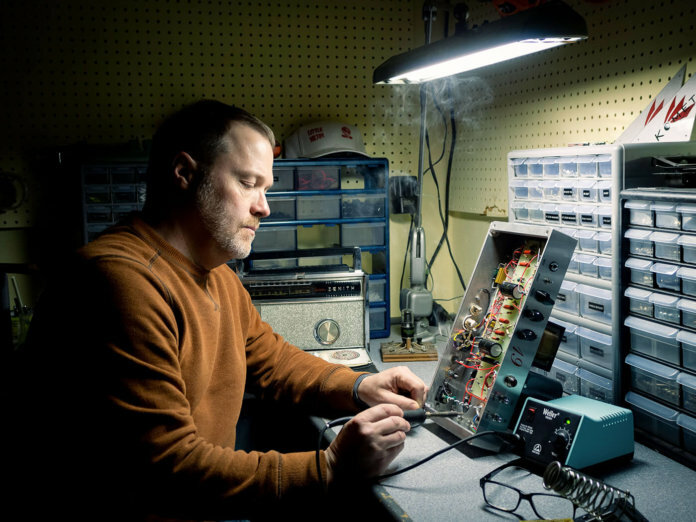 For his part, Kennedy, who builds most Komet amps today, admits to being a neat freak, and one with a pet peeve for substandard components. In addition to the perennial Komet 60 and the hot-rodded Concorde (which followed on from a Limited Edition partially designed for Komet by Fischer), the brand has had good success with the dual-EL84 Komet 19 and quad-EL84 Aero 33, Songwriter 30, and Komet 29 models, but Notzel and Kennedy’s strict quality ethos forced from production an amp that was many players’ favourite. 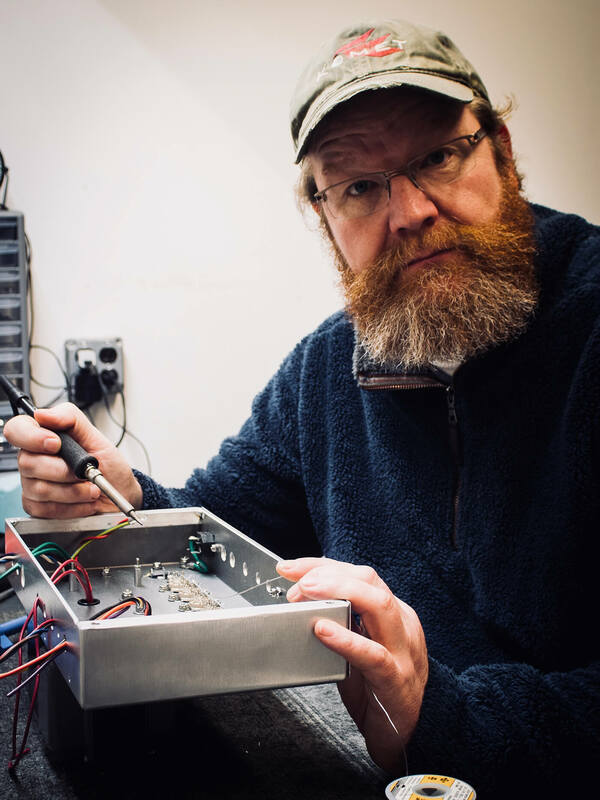 The Constellation, which had a footswitch-engaged, 12AX7-derived lead channel that has been described as the voice of the rock gods, was also known for its succulent, thick, rich clean channel, and that relied upon the octal-based 6SN7 preamp tube – long out of production. Examples are thin on the ground, and expensive when found in its NOS guise, and when you do plonk down the serious cash for a rare 6SN7, chances are excessive vibration will send it over the microphonic edge sooner than later. Among new products already out there, Kennedy says he’s extremely excited about the K.O.D.A pedal (for Komet Over Drive Amplifier), the company’s first pedal offering and something unique in the OD world in its use of multiple, highly controllable gain stages. In addition, the AmbiKab and AmbiKab Jr. have won plenty of fans since their introduction a couple of years ago. Designed to be an all-in-one wet-dry solution for guitarists seeking to use time-based effects without watering down their direct overdrive tones, the AmbiKab splits your amplifier’s speaker out to directly feed two traditional guitar speakers while tapping off a signal to send via your effects of choice, then return it to the unit’s internal stereo amp and stereo speakers. Other than that, Notzel has been in design mode lately, and plans to get another fully fledged Komet amplifier onto the market soon. “In my own personal life as a guitar player, I favour big, clean tones,” he says. “I love clarity, big bottom, and sparkling, bubbly trebles. So a couple years back, I designed an amp strictly for myself. It runs a pair of KT88 tubes – my favourite next to EL84s – in Class A, cathode biased with no negative feedback. The amp has a very special big output transformer that weighs 18lb by itself! 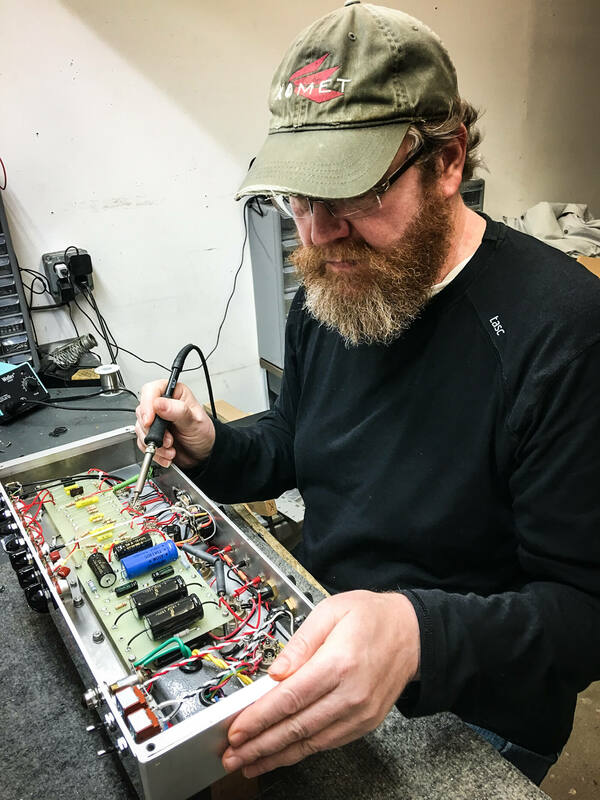 Another amp in the prototype stages goes the other direction, but still taps the KT88 – a single tube this time in a single-ended, Class A rock amp with master volume, the first time Komet has ever put MV on an amp. Check out Komet’s amplifiers here.